The much awaited single is finally here guys! Fresh off the movie-video for his hot single – Soldier, featuring Simi, Falz (Tha Bahd Guy) is seriously on a streak of form in the recent months. 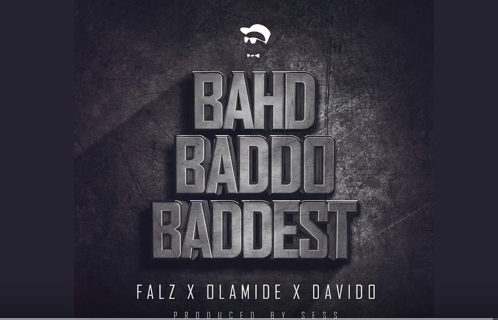 On this colossal collaboration, he feature two of Africa’s finest – Davido and Olamide, on this tune titled ‘Bahd Baddo Baddest‘, produced by Sess. With these three heavyweight artist on one track, you know its about to go crazy. Download and update you playlist asap!